Bob and Dee Kushner accepted a $1500 grant check from the Ronald McDonald House Charities for the Keds for Kids program. 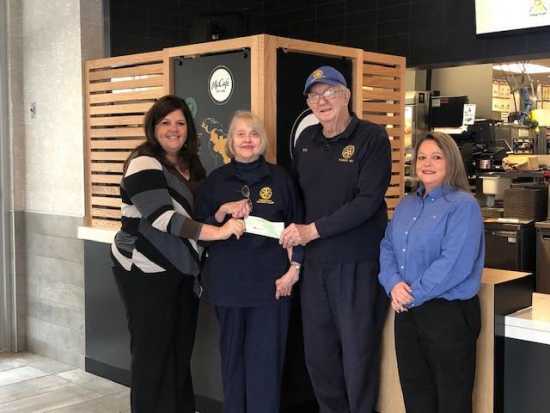 Presenting the check was Cheryl Farrow, McDonalds, Director of Operations, at left, and Kathy Snow, McDonalds, Area Supervisor. Keds for Kids is a program where the Piedmont Rotary Club provides shoes for deserving students in the Clearwater School District. The program is funded entirely by donations and grants.